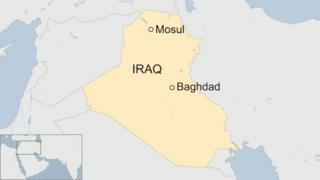 At least 40 people are feared to have died after a ferry sank in the Tigris river near the Iraqi city of Mosul. Most of the people on board the vessel were women and children and could not swim, the head of Mosul’s civil defence agency reportedly said. Rescue teams are trying to reach passengers from the ferry, which was reportedly heading to a tourist island. Security sources say there were about 100 people on board the ship in the fast-flowing river. Images on social media show the upturned vessel and people floating in the water. Local information account Mosul Eye has tweeted an “urgent appeal” for people to go down to the river near the Fifth Bridge and the Old Bridge in the city centre and help with the rescue. They called on motorists to stop their cars to allow ambulances carrying victims to pass.